How to Gain Serious Muscle Mass! For anyone who is looking to pack on some serious mass, one of their top priorities will be to determine what the best training method is. Here are 5 workout set-ups to pack on serious muscle. Learn more. To realize your full potential and optimize your muscle mass gains, we highly recommend using any of these workout plans with one of our high quality healthy Gold Medal Supplements Muscle Stacks. The set-up of this program is to perform three main exercises that target the main muscle groups in the body (both lower and upper body in the same workout), performing five sets of five repetitions. At the end of each workout you can add in a few sets of isolated exercises if you like, but it’s not required by the program. 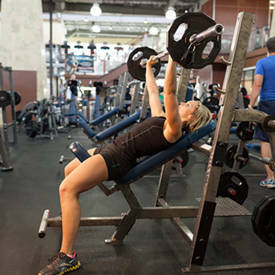 The second con to this set-up is due to the fact that you’ll be lifting heavy three times a week – it doesn’t lend so well for a lot of other activity, such as heavy sports training. If you’re involved in high-level athletics, it may be better to choose a slightly less demanding program so you don’t become overly fatigued. You’ll want to aim to perform the 5 X 5 protocol for the core exercises as described above and then cut back on the volume for the accessory lifts. 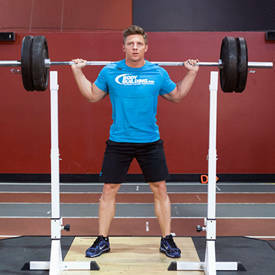 If you know going in you’re someone who tends to have difficulty recovering, then you may want to attempt a 3 X 5 set-up first and see how you do. It can be easy to overtrain on this program if you’re not careful. Some individuals will make the mistake of not looking after their nutrition on this program and it’s those people who are at a much higher risk of burning out after a short period of time passes. For this workout protocol, you are to select one compound exercise for each muscle group and hit it hard with ten sets of ten reps. Once those have been completed, then you can add a few isolation exercises if you wish but bring them down to only 2-3 sets of 10-15 reps. Aim to keep up the pace of the workout by keeping your rest to 60-90 seconds. Remember that since you are shooting for the higher rep range of 10 reps, you will not be using as high of a weight as you would on a 5-6 rep protocol, so be sure you adjust your load accordingly. 50-60% of your 1 rep max would be a good place to start. The workout is broken up into three different days: chest and back, legs and abs, and then shoulders and arms. Take one day off between workouts and have the full weekend for solid recuperation. The FST-7 name stands for Fascial Stretch Training, which indicates that one of the primary objectives this program attempts to achieve is to stretch the fascia tissue, which is the soft connective tissue that is found surrounding your muscles as well as throughout the rest of the body. It is primarily responsible for helping to maintain the structural integrity of the body, provide support and protection, as well as work as a shock absorber when you perform activity throughout the day, both in the gym and out. When this tissue is stretched you will see increases in muscle growth. There will be a higher deliverance of minerals, amino acids and oxygen to the tissues. 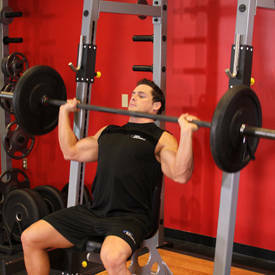 With this set-up, perform seven sets of 15 reps for the last exercise you do for each muscle group. 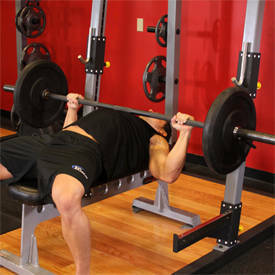 It’s important to keep your rest periods between these sets shorter – right around 30 seconds total. 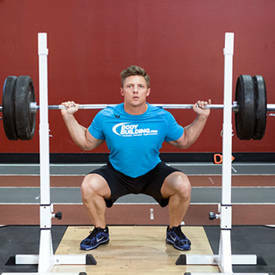 Note: it will be common to adjust the weight downward from what you’d normally use for this particular exercise due to the fact that you are using a much higher total number of sets and the longer rep range will demand that you’re not lifting as heavy. If you want to specialize in certain body parts you can definitely do so or if you prefer to keep the rest of the program lower in total volume because you don’t have the best of recovery rate, you can certainly do that as well. Another pro to this approach is that the higher rep and set range for that one exercise will stimulate the metabolic rate considerably, so whether your goal is muscle building or fat loss, provided you’re eating the correct accompanying diet, you can see a boost in results through that manner as well. Stick with it and make sure you eat properly and stretching in between sessions without adding too much cardio training to the week overall and you’ll likely start seeing results and improvements with the level of fatigue you feel. This is another extremely intense training program so you must always monitor recovery between sessions. Some people may choose to only employ the FST-7 principle in one of their workouts for a particularly lagging muscle group, while others may try it through all workouts during the week. Do expect more soreness from this program than you may have experienced before and be prepared to adjust and adapt your own schedule based on this. Here’s a sample FST-7 program that you could use that applies the principle to all muscle groups. 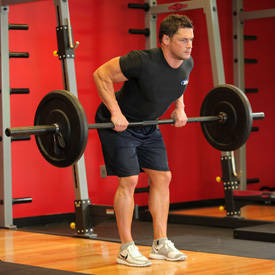 Note that you’re best off doing an isolated exercise for your set of 7, which is why the exercises are chosen as such. 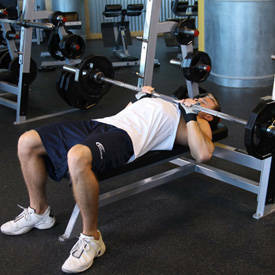 Take between 60 and 120 seconds of rest on the exercises apart from the exercise where you are to perform seven sets. 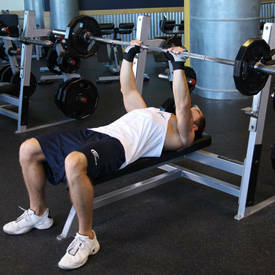 Here the rest period needs to be shorter and kept around 30 seconds for maximum muscle pump. Advanced trainees can also intensify the workout through the total set number, exercise selection, and rest periods used, allowing for increased muscle gains at any level. 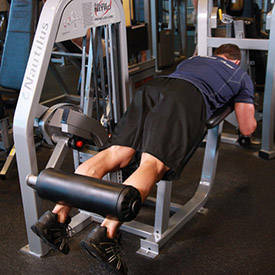 Another big advantage to this type of set-up is the fact that it will allow you to include more isolated exercises. If you want to specifically target one of the smaller muscle groups (biceps, triceps, lateral deltoid, etc), you can do so more easily. The one con you may find with this workout is due to the fact that since it is made to be a 4-day program, it should be performed four days of the week. If you have scheduling conflicts, that may be a problem for you. Even this could be overcome by doing one week of lower, upper, lower training and the next week of upper, lower, upper training – and continually alternating as such. There is an endless amount of exercise-selection choices for this type of workout plan and you should format the program according to how much volume you can handle, any muscle groups you want to focus on and whether you primarily focus on strength or size. 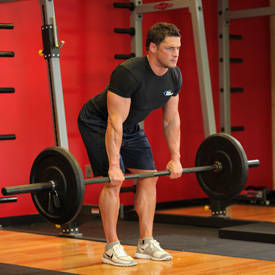 The following sample program is a good combination of compound and isolation exercises. It will target both the strength and size aspects of your fitness level. Aim to take about one minute of rest between the first group of exercises and then shorten the rest period to 30-45 seconds for the second. Perform Workout A and Workout B one after each other and then break for a day before moving to Workout C and Workout D to round out your training week. In addition to those lifts, you could also throw in a few isolated exercises if you want to hit the smaller muscles individually. It can certainly be used by advanced individuals as well. Since it has the high-frequency aspect working for it, it typically proves to be successful. There are a number of different combinations you can create a full-body workout with and can utilize different principles within the workout to add variety and keep progressing. 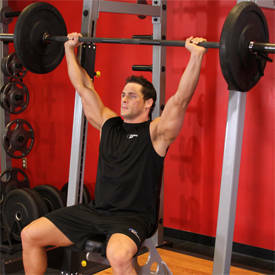 Typically with specialization workouts you’re going to want to dedicate two or three lifts to the body part you’re specializing in, making the workout slightly crowded once you fit everything in. For each full-body workout, you’ll hit all the major muscle groups while using as many compound exercises as possible to keep overall volume under control. 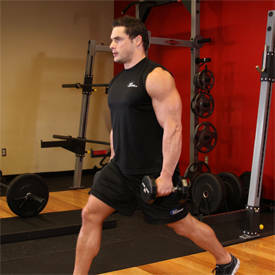 The few isolation exercises are added toward the end of the workout to help further bring out muscle definition and increase the muscle pump you experience. Aim to complete the following workouts alternating between them over the course of two to three days per week with at least one day off in between for rest. Take 60-90 seconds of rest between the sets of the first grouping of exercises and 45-60 seconds of rest between the sets of the second grouping of exercises.